Rihanna has sued her father for trading on her Fenty brand name and suggesting that a business venture he set up in 2017 is associated with her. The "Diamonds" singer, whose full name is Robyn Rihanna Fenty, filed a lawsuit in US federal court in Los Angeles on Tuesday accusing Ronald Fenty and two business partners of fraud and false advertising over his Fenty Entertainment talent and production company. 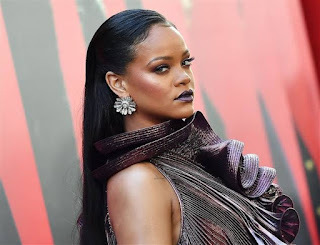 The Barbados-born Rihanna, who uses the Fenty trademark to sell cosmetics, lingerie and sneakers, asked the court for an injunction to stop her father using the Fenty name, and an unspecified amount of damages. The lawsuit said Rihanna had "absolutely no affiliation" with Fenty Entertainment and yet the company was misappropriating her name and misrepresenting itself as being affiliated with her. In one instance, Fenty Entertainment accepted a 2017 offer by a third party for Rihanna to perform 15 shows in Latin America for $15 million, the lawsuit said. The lawsuit said that despite having repeatedly been told they have no authority to use her name, the Fenty trademark or speak on Rihanna's behalf, Ronald Fenty and his business partners had continued to misrepresent an affiliation with her. Fenty Entertainment could not be reached for comment on Tuesday.